A Boy in the Water by Tom Gregory (Particular Books) and The Lost Soul of Eamonn Magee (Mercier Press) by Paul D. Gibson have today, Tuesday 27th November, been jointly awarded the 2018 William Hill Sports Book of the Year. The winning books were announced by broadcaster John Inverdale at an afternoon reception at BAFTA in London. The £30,000 cash prize will be split equally between the two titles, with both authors receiving a £15,000 cheque, a free £1,000 William Hill bet, and a day at the races. A Boy in the Water is the debut book from 42-year-old Tom Gregory, who on 6 September 1988, aged 11, became officially the youngest person to swim the English Channel, mentored and encouraged by an extraordinary, maverick local coach. 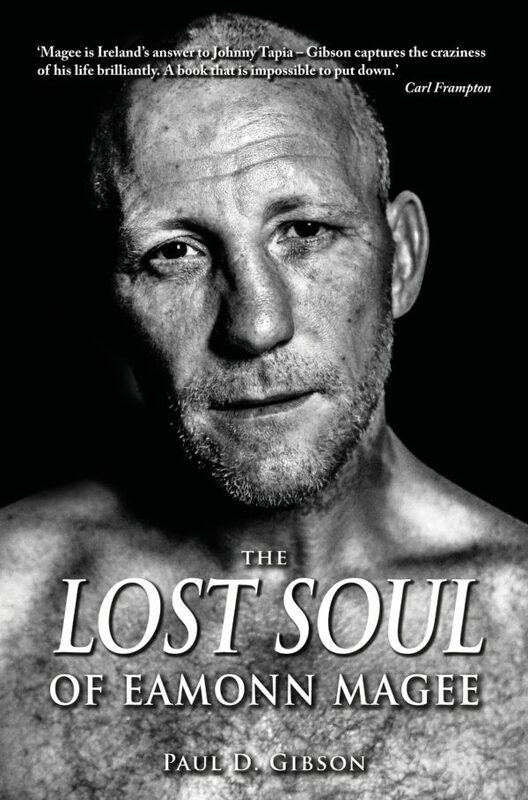 Paul D. Gibson’s The Lost Soul of Eamonn Magee explores the extraordinary highs and lows of one of Ireland’s most gifted fighters, whose vices fuelled his career while also jeopardising it. The Lost Soul of Eamonn Magee is the fifth boxing title in 30 years to win the world’s richest and longest-running prize for sports writing, and the first win for independent publisher Mercier Press. A Boy in the Water is the first swimming – and the third water sports – title to win the Award and the first win for Penguin Random House imprint, Particular Books. “In the 30 years since launching the William Hill Sports Book of the Year Award, we have occasionally considered, but never ultimately awarded, a dead heat. This year, after hours of deliberation, our judging panel found it impossible to separate these two jointly deserving but very different books. “The astonishing story of how and why Tom Gregory swam the Channel at such a young age is a memorable and truly one-of-a-kind tale. We were plunged into the deep waters above and below an impressionable young man being almost coerced into a feat beyond the capabilities of most adults by his maverick coach. We found Tom’s story, his debut book, to be captivating, entertaining and beautifully told, in just 180 brilliantly-crafted pages. Tom Gregory joined the local swimming club aged six. It was run by John Bullet, an old school disciplinarian with a track record of training winners. He could be difficult but he changed people’s lives. “By any standard, he was a world-class coach, and he was operating out of a council pool in south-east London. He took kids from estates and helped them do amazing things,” says Gregory. In the days before sports nutrition, or Health and Safety, Tom was trained for the next five years in Lake Windermere, London Docks and the open sea at Dover to withstand extreme and long exposure to the cold. The swimming team were mini-bussed around Britain, camping out, singing 80s songs and training together every moment of their spare time. But from the age of 8, Tom was singled out as a Channel contender. In 1988, aged 11 years and 336 days old, he completed his 32-mile swim in open water from France to the White Cliffs in 11 hours and 54 minutes, securing the world record for the youngest person to ever swim the English Channel. The swim was gruelling. He wore no wetsuit, instead donning a bright orange rubber cap and some Adidas trunks, and paused only to swig some Heinz tomato soup and munch the occasional chocolate biscuit thrown at him from the support boat. At various points Tom fell asleep, hallucinated, developed agonising hip and shoulder pain, and cried so much that his goggles filled with water. However, he pushed through all 32 miles, securing the world record and a coveted Blue Peter gold badge. Following Tom’s incredible achievement, it was banned for children under 12 – and later, under 16 – to even attempt this. After the death of his coach John Bullet, Tom withdrew from the competitive swimming scene. 30 years on from his incredible achievement, Tom has had a career as a Captain in the army and then in investment banking. He now works as a Director for accountancy firm Deloitte. A Boy in the Water is the first time he has spoken about his incredible story. Eamonn Magee is widely regarded as one of the most gifted fighters to ever emerge from Ireland. Coming from a boxing-obsessed family, he worked his way up through the amateur ranks, turning professional in 1995. In 2002, he took on Ricky Hatton in a highly-anticipated sell-out fight in Manchester billed as “Anarchy in the UK”. After four rounds, Magee lost narrowly in what Hatton’s trainer Billy Graham called Hatton’s toughest fight to date. Yet, despite becoming a world champion in 2003, drink, drugs, gambling, depression, brushes with the law – and with the IRA – all took Eamonn away from his craft. Then there was the violence: a kidnapping, a throat slashed, a bullet in the calf, a savage, leg-shattering beating. Upon his retirement, Eamonn turned his attention to training and overseeing the rise of his son’s boxing career. However, the prospect of a Magee dynasty was cruelly halted in 2015 when Eamonn Jnr was brutally stabbed to death in West Belfast in a premeditated attack. The Lost Soul of Eamonn Magee is an intimate telling of a barely believable life story, filled with heartache and laughter, violence and love, unthinkable lows and fleeting, glorious highs. 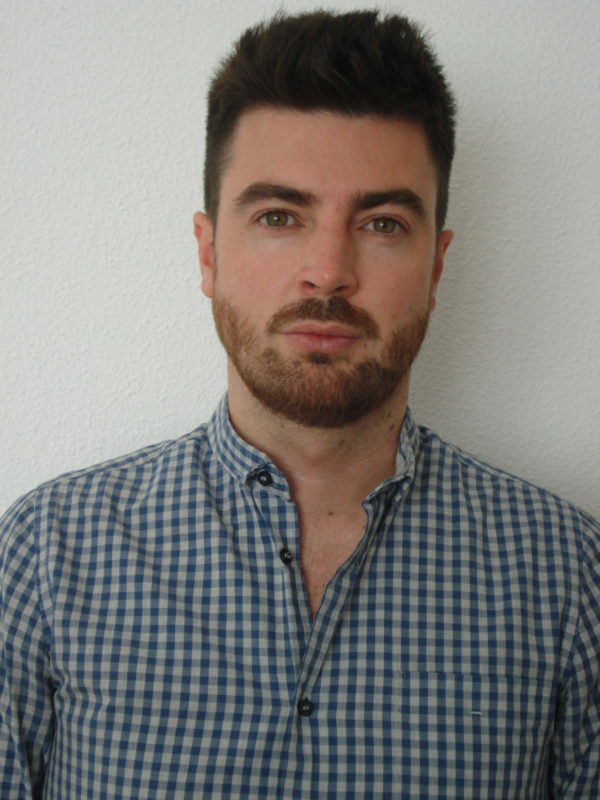 Paul D. Gibson is a former journalist whose work has appeared regularly in the Guardian, on the BBC and in Boxing Monthly, amongst many others. His first book, an autobiography of the UFC fighter Dan Hardy, was released in March 2017. Now fully immersed in the professional boxing world, Gibson’s current projects include works on Carl Frampton and Michael Conlan. Williams and Gibson attended the ceremony along with fellow shortlistees: King Adz (Fear and Loathing on the Oche: A Gonzo Journey Through the World of Championship Darts), Jeff Benedict (co-author of Tiger Woods with Armen Keteyian), Paul Ferris (The Boy on the Shed), Oliver Hilmes (Berlin 1936: Sixteen Days in August) and Ben Ryan (Sevens Heaven: The Beautiful Chaos of Fiji’s Olympic Dream). The shortlistees each received a leather-bound copy of their book, a £3,000 cheque and free £1,000 bet. The judging panel for this year’s Award consists of: journalist and broadcaster Mark Lawson; retired professional footballer and former chairman of the Professional Footballer’s Association, Clarke Carlisle; broadcaster and writer John Inverdale; broadcaster Danny Kelly; award-winning journalist Hugh McIlvanney; and The Times columnist and author, Alyson Rudd. The Chair of Judges is Graham Sharpe, co-creator of the Award alongside John Gaustad, founder of the Sportspages bookshop, who passed away in 2016. Previous winners of the prestigious award include Nick Hornby, Lance Armstrong with Sally Jenkins, and Anna Krien. In addition to four boxing titles (including one boxing/athletics crossover), seven winners have been football-themed, five on cycling, two horse-racing, rugby and water sports titles, and one apiece on golf, martial arts and Australian Rules Football. The last boxing title to take the Award was 2006’s winner Unforgivable Blackness: The Rise and Fall of Jack Johnson by Geoffrey Ward. The William Hill Sports Book of the Year Award, first awarded in 1989 to True Blue: The Oxford Boat Race Mutiny by Daniel Topolski and Patrick Robinson, is the world’s longest established and most valuable literary sports-writing prize. As well as a £15,000 cheque, this year’s two winning authors will receive a free £1,000 William Hill bet, and a day at the races. Eamonn Magee is widely regarded as one of the most gifted fighters to ever emerge from Ireland. Yet, despite becoming a world champion in 2003, drink, drugs, gambling, depression and brushes with the law all took Eamonn away from his craft. Then there was the violence: a throat slashed, an IRA bullet in the calf, a savage, leg-shattering beating, and the brutal murder of his son. The Lost Soul of Eamonn Magee is an intimate telling of a barely believable life story, filled with heartache and laughter, violence and love, unthinkable lows and fleeting, glorious highs. Paul D. Gibson is a former journalist whose work has appeared regularly in the Guardian, on the BBC and in Boxing Monthly, amongst many others. His first book, an autobiography of the UFC fighter Dan Hardy, was released in March 2017. Now fully immersed in the professional boxing world, Gibson’s current projects include works on Carl Frampton and Michael Conlan. He lives in Belfast, Northern Ireland. On 6 September 1988, aged 11, Tom Gregory became – and will forever remain – officially the youngest person to swim the English Channel, mentored and encouraged by an extraordinary local coach. Tom’s full story has never been told, until now. Written with rare charm, enriched by a vividly-remembered, child’s-eye view of the world, Tom’s story is an inspirational tale of love, courage and opportunity which leaves a lingering question in the mind about the constraints of modern childhood: is there something in this tale that we have lost? Tom Gregory holds the record of being the youngest person to swim the English Channel. Following a career in the army and investment banking, he now works as a Director for accountancy firm Deloitte. A Boy in the Water is his first book. He lives in Godalming, Surrey, England. This year’s prize was open to any full-length book, providing the subject was predominantly sporting, published for the first time in the UK between 13 October 2017 and 12 October 2018. Shortlisted authors will receive £3,000 cash, a leather-bound copy of their book, and a free £1,000 bet. The winner of the William Hill Sports Book of the Year Award 2018 was announced at an afternoon reception at BAFTA, in central London, on Tuesday 27th November.